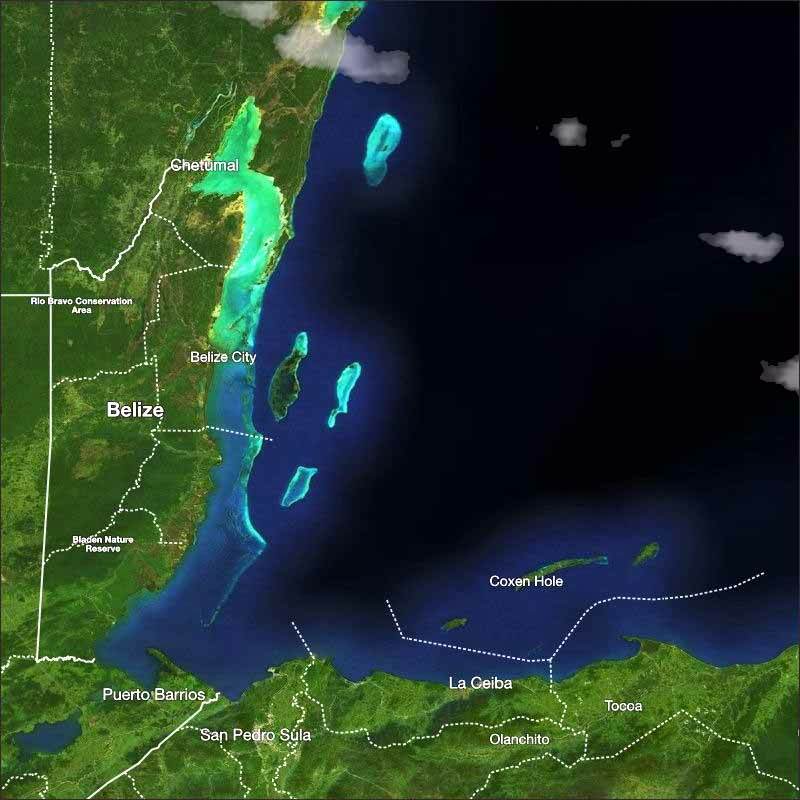 Belize NMS: Relatively moist conditions will continue to dominate our weather. Conditions will remain relatively moist for most of the week with gradual improvements toward the weekend. 24-hour forecast: Sunny with some cloudy spells today and cloudy at times tonight. A few showers will occur over most areas, but especially southern and central areas of the country. Today: Winds: East 10-20 kt with occasional higher gusts; seas: Moderate - rough. ; waves: 4-7 ft.; a few showers, decreasing late. Tomorrow: Winds: E-NE 10-20 kt with occasional higher gusts; seas: Moderate - rough; waves: 4-7 ft.; a few showers. Marine Outlook: Wednesday night:-Winds: E-NE 10-20 kt; seas: Moderate; waves: 4-6 ft.; a few showers mainly over the south. General Outlook: For Wednesday and Wednesday night is for skies to be cloudy at times with a few showers affecting most areas, but especially the south of the country. 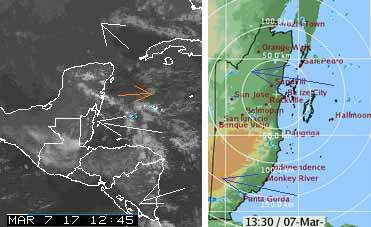 Caribbean cloud areas continue to come in bringing showers from time to time. Looks like periods of sunshine and occasional rain showers, but mainly cloudy.